Burj Al-Luqluq social center singed 10 new community youth initiatives within the program ‘Live the Burj’ funded by the Arab Development Fund ,through the Islamic Bank and under the supervision of Welfare Association. The signed initiatives aim to serve the Jerusalemite youth and their creative ideas, the initiatives were signed in the educational beacon in Burj Al-Luqluq Social Center. 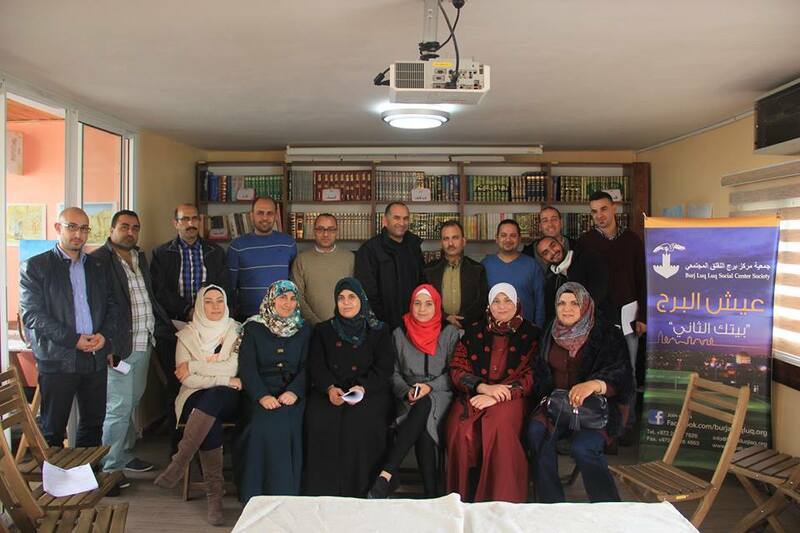 The project manager from Welfare Association Ala’ Al-Turshan, The head manager of Burj Al-Luqluq Naser Ghaith, The executive manager Muntaser Idkaidek, the project coordinator Ahmad Jaber and a group of Jerusalemite youth initiators attended the conference. At First, Muntaser Idkaidek welcomed the crowd, confirmed the importance of publishing new community initiatives and focused on the important concentration on school initiatives to support students ideas and to confirm the importance of working with Jerusalemite students and teachers.